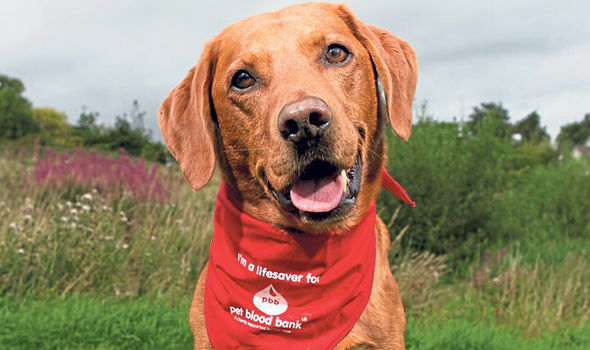 A LABRADOR has been crowned Scotland’s number one canine blood donor. The pooch, called Zephyr, has donated 20 units of blood and saved several dogs’ lives. Owner Fiona Gray, from Broughty Ferry, Dundee, who has three other donor dogs, said: “I was a blood donor myself but I was diagnosed with a medical condition that meant I couldn’t do it any more. She added: “The donating process itself probably doesn’t take much more than 10 minutes. All of my dogs absolutely love it. They go straight in, jump up on the bed and wait for their biscuit. “Unlike human blood donations where you have to wait till the end of the session to get your tea and biscuits, the dogs get theirs right away. They get fed from the minute they go in to the minute they leave. And because they are gun dogs and I don’t really give them biscuits at home, they make the most of it. “They know where they’re going and they want their little treats.